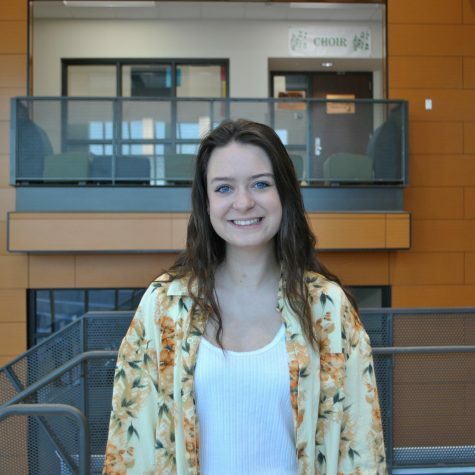 Simone (Salmon) Vaillancourt is a junior at EHS, and is excited to be on Zephyrus. A vegetarian enthusiast who dislikes vegans (apparently it’s a thing), Simone likes to eat disappointment sandwiches on the daily. Even so, you can find her flyfishing mostly every weekend (ironic we know). Proud of the Canadian blood running through her veins, she keeps a mini fridge full of maple syrup in the corner of her room and doesn’t let anyone touch it. However, despite having maple-syrup thickened blood, she was born in Texas, causing her to feel a sense of patriotism for America nonetheless. Not only that, but she religiously drinks Tim Hortons coffee and has a secret obsession with lumberjacks. Being the queen of cheese, nothing can stop this girl from making a mean grilled cheese sandwich and classic mac (except for that one time when she accidently set a kitchen towel on fire, but we don’t talk about that). Ladies and gentlemen, she might look fit and fabulous but that’s not due to getting swole at the gym but her constantly running away from her phobia of spiders, centipedes, and Bee Jerry Seinfelds. In the words of the legend herself, “I hate running. Actually I hate all forms of exercise really.” You may not find her on the treadmill anytime soon, but there’s a great probability that you will see her paintings, reading, or hanging out in her #mock. After high school, Simone plans to pursue journalism, with the hope of eventually working for National Geographic magazine.